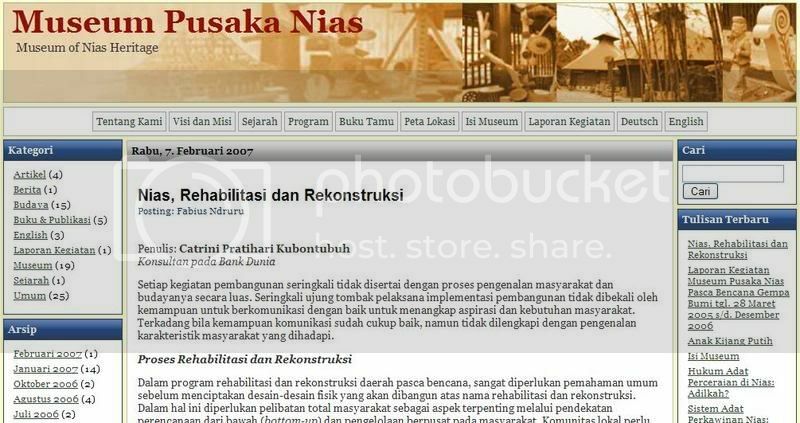 30 March 2007 (Lim Kit Siang’s blog) – Lim Kiat Siang is a leading opposition figure in Malaysian politics. In this post, he features a write-up on how knowledge of Malaysia’s history is only limited to the founding of the Melaka Sultanate in the 1400s – thus ignoring the rich Hindu-Buddhist influences of the time preceding that, as evidenced by clay moulds to form Buddhist stupas and Hindu architecture in Kedah. Note: the term ‘Savarnadvipa’ might possibly refer to the regions of Burma or Sumatra or Java. In very recent times, the starting date for the study of Malaysian history in the schools has been conveniently fixed around 1400 C.E. It probably coincides with the founding of the Sultanate of Malacca by Parameswara. Today, Malaysian school children only learn a little bit about the early Proto Malays and then are conveniently taken on a historical quantum leap to the founding of Malacca. Early Indian works speak of a fantastically wealthy place called Savarnadvipa, which meant â€œland of goldâ€. This mystical place was said to lie far away, and legend holds that this was probably the most valid reason why the first Indians ventured across the Bay of Bengal and arrived in Kedah around 100 B.C. Apart from trade, the early Indians brought a pervasive culture, with Hinduism and Buddhism sweeping through the Indo-Chinese and Malay archipelago lands bringing temples and Indian cultural traditions. The local chiefs began to refer to themselves as â€œrajahsâ€ and also integrated what they considered the best of Indian governmental traditions with the existing structure. I learnt Malayan history in the 1950s and taught it in the 1960s and 1970s in secondary schools. All the history textbooks at the time had the early Indian connection specifically mentioned in them. Teachers of that period taught about the early Indianised kingdoms of Langkasuka, Sri Vijaya and Majapahit that existed from as early as 100 C.E. Anyone can see that Parameswara, the founder of Malacca, has a clearly give-away name that points to the Indian/Hindu influence. No one can deny this, and all our children need to know about this. They have the fundamental right to learn about this aspect of our history too. 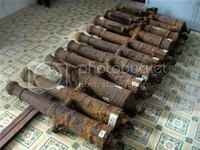 27 March 2007 (Thanh Nien News) – 4 men are arrested near the Vietnam-China border for smuggling artefacts. The article does not specify the exact kinds of artefacts, although the bronze drum would almost certainly be of the Dong son type. Four men have been arrested, including two Chinese nationals, on the Chinese border on suspicion of smuggling antiquities, Vietnamese police said Monday. They were apprehended last Friday in Mong Cai town with several items in their possession, some of which have been identified as ancient Vietnamese artifacts. The police seized 36 items, including 1 bronze drum, 59 earrings, 10 statues, and a ceramic jar, according to the Cong An Nhan Dan (People’s Police) newspaper. “The authorities are studying the items to identify their ages,” Nguyen Huu Khia[/tag], deputy head of the provincial policeâ€™s investigation department, said Monday. Cambodian officials are reportedly mulling over measures to restrict tourist access to Angkor Wat Temple, in an effort to prevent its further deterioration. The ravages of nature over time and the water table have taken a toll on the UNESCO listed World Heritage site, putting some at risk and further weakening their â€œstructural integrity,â€ said experts from UNESCO. 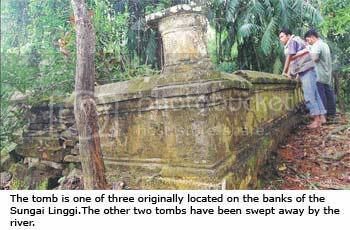 26 March 2007 (New Straits Times) – A 16th century tomb belonging to a Malay general is in risk of being swept away due to flooding of a nearby river. A tomb, believed to be that of a senior general of Johorâ€™s Sultan Mahmud Shah II, which is located on the banks of Sungai Linggi here, is in danger of being swept away by the river if no preservation work is done immediately. The tomb, which the locals believe is the resting place of Datuk Maharajalela Sheikh Ahmad Hussein, is one of three originally located there. “The other two tombs have been swept away by the river. If nothing is done to this tomb soon, it will suffer the same fate,” said Kamaruzzaman Abdullah, 65, who has lived in the area for many years. Kamaruzzaman, who accompanied the New Straits Times to the tomb, said the two tombs belong to relatives of Sheikh Ahmad Hussein. 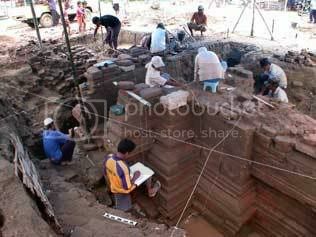 The three tombs, known to locals as Makam Bukit Tiga, date back to the 16th century. The Malaysian Branch of the Royal Asiatic Society (henceforth called the Society) is a learned society devoted to the task of collecting, recording and diffusing information about Malaysia, Singapore and Brunei. Its primary objective is to promote a greater interest in the study of the region, and to this end, it publishes a journal and carries out other scholarly activities.A brainchild of a group of colonial administrators, the Society has since 4 November 1877 enjoyed the patronage of top-ranking officials like the Governors of the Straits Settlements, Prime Ministers of Malaysia and Singapore and the Sultan of Brunei. Among its council members are distinguished officials and academicians, ranging from Sir Frank A. Swettenham, Sir Richard Winstedt and H.N. Ridley of the colonial government to Tan Sri Nik Ahmed Kamil and Tun Mohamed Suffian bin Hashim of the Malaysian government and to academicians like Dr. Alastair Lamb, Professor Wang Gungwu and Professor S. Arasaratnam of the University of Malaya. One can purchase a reprints and monographs from the Society’s website.